Each autopilot or Attitude & Heading Reference System (AHRS) is individually calibrated and temperature compensated by serial number. Note that although a component manufacturer may supply multiple components which are ostensibly identical, the fact remains that no two sensors are actually the same; these 'identical' sensors will actually behave differently under the same physical conditions (angular rate, drift, acceleration etc) and this is compounded by a difference in performance across a given temperature range. The aim, therefore, is to calibrate these sensors and thereby provide as close to identical outputs under a given set of conditions. To achieve this UAV Navigation uses specific hardware calibration equipment and has designed and developed its own tools and jigs in order to ensure a consistent level of precision throughout its product range. In addition to the above, UAV Navigation maintains excellent working relationships with a number of trusted subcontractors (component suppliers, machining companies, PCB manufacturers, Electronic Mounting Services - EMS etc. 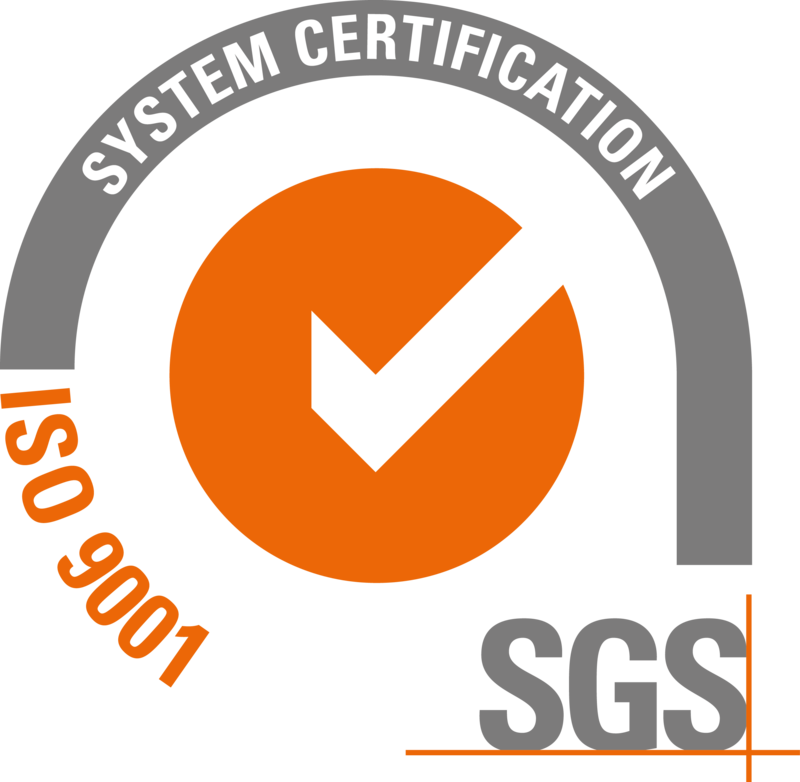 ), based on the ISO 9001:2015 standard. This close working relationship allows complete transparency, and ensures that UAV Navigation can hold its suppliers to account via a rigorous audit process. Calibration affects many different sensor types: accelerometer, gyroscope, magnetometer and air data sensors. Most sensor types can be modelled by using a linear sensor model, consisting of 12 calibration coefficients to cover the full range of operation of the sensor. The purpose of calibration therefore is to measure and correct any deviation which the actual sensor may show against the theoretical model. This is not a trivial matter; UAV Navigation has dedicated over 14 years in order to obtain an unrivalled understanding of sensor performance and the necessary know-how to adjust coefficients in order to produce systems built on precise, robust sensor data. Accelerometers are crucial inertial sensors. The performance of an accelerometer is very closely related to long-term system accuracy. Any bias in the accelerometer's output will produce a shift in measured acceleration. The goal of accelerometer calibration is therefore to determine the calibration parameters in the linear sensor model used. For this reason, a '6-point test' by means of a 'tri-axis moving table' is used. The test consists of aligning each sensor axis in one 'known' direction and the opposite and comparing the result with the expected value (gravity vector, or another calibrated reference). Multiple measurements are done in each position in order to minimize overall error. Gyroscopes ('gyros') have a considerable impact on the overall performance of an IMU/AHRS unit. This sensor is responsible for short-term accuracy, which is crucial for control. What makes gyro bias so important and difficult to calibrate is that this type of sensor demonstrates an important 'random walk component' that cannot be eliminated during the calibration process. In order to overcome this behaviour, UAV Navigation's AHRS units run a specific algorithm which has been developed in order to estimate bias during operation (in-flight calibration). When gyro axes are not exactly perpendicular, it is relatively straightforward to mitigate linear effects. If the system is placed on a horizontal rotation test platform, the axes should ideally rotate around a point. However, what is normally found is that the result is a circle (meaning that the vertical axes are not perfectly aligned). This is due to an effect known as 'gyro misalignment'. On the other hand, MEMS sensors can exhibit some sensitivity to linear acceleration, which results in gyro sensitivity. The immediate result is minute and very difficult to estimate - however its effects over the longer-term can be considerable. UAV Navigation has developed methods for dynamic compensation of such effects, based on experience, testing and information from component manufacturers. Again, the aim is to reduce any source of error. With regards to magnetometer calibration, a linear model using 12 parameters is also used. The offset in this case is known as 'Hard Iron', whilst bias/sensitivity/misalignment is all computed in the 'Soft Iron' matrix. UAV Navigation has developed in-house algorithms to perform 'offline' (i.e. before flight) and 'online' (i.e. during flight) magnetometer calibration in order to overcome the issues relating to magnetometer calibration detailed above. Over a period of at least 14 years, UAV Navigation has invested considerable resources into developing only the highest quality products, based on aerospace standards and methods. The company has earned a hard-won reputation for products which are accurate, reliable, robust and subject to the strictest Quality Assurance. The experience and know-how accumulated by UAV Navigation translates into cutting-edge products for the most demanding users.